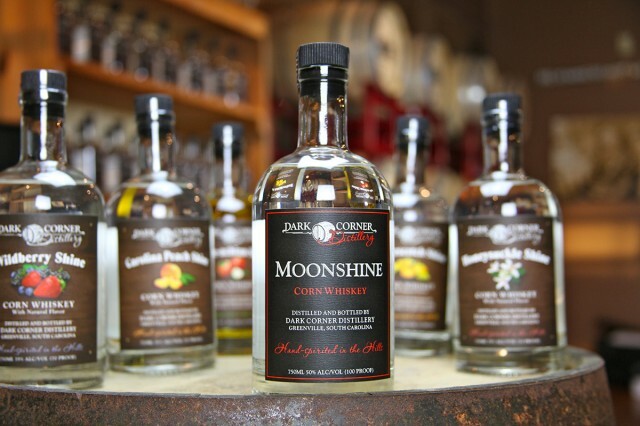 You’d think a Moonshine from a place called Dark Corner Distillery would be some sort of fiery cauldron of a spirit that puts hair on your chest and separates the men from the boys. It isn’t. There are a lot of misconceptions around moonshine, a distinctively American spirit whose roots lie more in early settlers’ farmhouse stills and corn whiskey than the backwoods outlaws who helped give the spirit its bad boy mystique. Traditionally, moonshine referred to any spirit that was manufactured illegally – many of these spirits were corn or sugar based, and often based on a family recipe passed down from generation to generation. With the boom of micro-distillers, moonshine has come out of the proverbial dark corner and into legally produced bottles on store shelves. 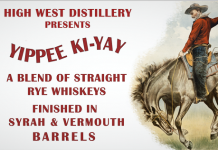 Much of the moonshine on the market is unaged corn whiskey, very similar to the raw spirit which is put into barrels, aged, and transformed into American whiskey like Maker’s Mark and Jack Daniels. 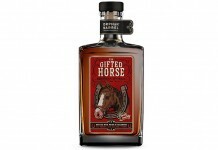 Unaged corn whiskey is focused more on the true corn flavors and doesn’t have the cinnamon, caramel, and spice notes that you get in aged whiskey that has been in a barrel. You can tell from the first whiff that Dark Corner Distillery Moonshine corn whiskey is made from corn. The nose smells like fresh baked cornbread and has a note reminiscent of the smell of taking husks off a corn cob. What’s so amazing about Dark Corner Distillery Moonshine is just how soft and easy it is to drink. You’d think a 100 proof whiskey would pack a hard punch, but Dark Corner Moonshine is soft, smooth, and easy. As with the nose, there are distinct corn notes in the taste along with soft vanilla and light black pepper that gives it a little kick. Dark Corner Distillery makes their Moonshine corn whiskey in small batches using traditional copper pots with great care and craftsmanship. 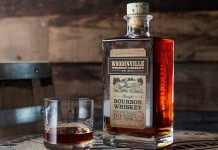 This care is apparent in the glass, with one of the most affable and easy drinking moonshines on the market. Corn whiskey is an ideal summer spirit that is easy to drink and doesn’t need a lot of mixing to shine. The best way to enjoy it is to pack a big glass with ice and and then add your whiskey.